Be prepared for whatever opportunity brings. This minor gives you an opportunity to explore entrepreneurship as a career option as you acquire knowledge, skills and connections that are useful across all career paths. The minor in entrepreneurial studies is part of Horn Entrepreneurship, which offers many unique opportunities and resources. 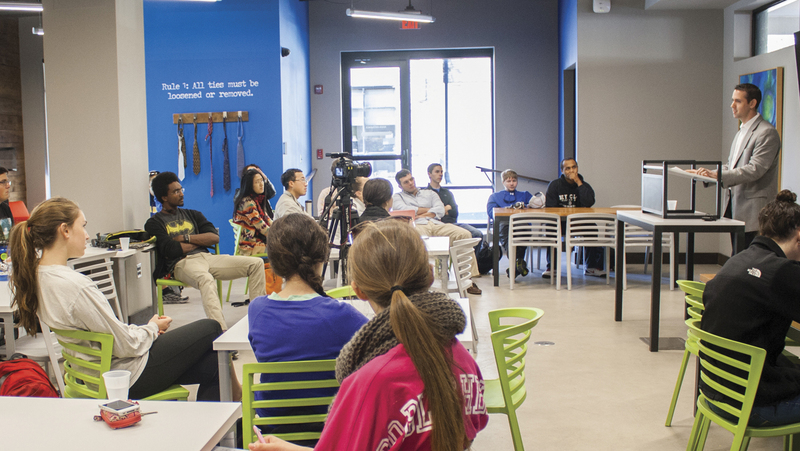 The Entrepreneurship Club (E-Club) at UD was founded to encourage students to have an entrepreneurial mind-set, and to pursue business and networking opportunities outside of the classroom. The goal of the club is to build a close-knit community for students of all majors. All courses 3 credits unless stated otherwise.